Working as a forensic psychologist in California, I had a busy (in retrospect, too busy) career. It typically took several weeks to organize a get together with friends. Here in Spain, spending time with family and friends is a priority. Seldom does a day pass where I don’t arrange to meet a friend or spontaneously join someone for a paseo (walk). 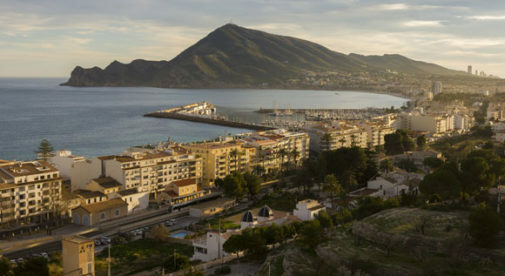 Due to the inexpensive cost of living here in Altea, I don’t have to work. Which is a good thing since my schedule is so full of fun social events. I rent a large, three-bedroom apartment for $448 a month, my utilities (trash, electricity, and water) come to about $123, cell phone/international TV/internet costs $89, and I spend $570 on food, which includes dining out most days. In addition to the daily time with friends, I also indulge in my two passions, dance and music, with a Zumba class four times a week, salsa classes, and social salsa dancing at the local Cuban bar. Three times a week, a saxophonist plays at a local restaurant during lunchtime. A typical lunch from a menu del dia (menu of the day) costs $10 to $13. That includes two courses, bread, a beverage, and a choice of dessert or coffee. Living here, I like to immerse myself in the local culture. I go to the bars where the locals hang out to practice my Spanish (a glass of wine or beer, which includes a tapa, costs just $2), and I can now carry on conversations completely in Spanish…one of my primary goals when moving to Spain. I have found it far easier to make friends here in Altea than where I was living in California. I found a great little bar with lots of cultural and educational activities, which is frequented by locals and expats. The bar hosts activities including intercambio (Spanish and English language exchange), movie night, book club, featured original art by local artists, and cooking classes. I’ve met people from countries around the world here including Spanish, English, Romanian, Dutch, French, Irish, and Norwegians. This area of Spain has the highest number of Norwegians in the world outside Norway. I now have a number of close Norwegian friends, one of whom joined me for her first salsa class last week (and now she too is hooked). Some of my favorite experiences have been dinners in the homes of families I have met. There was the Nepalese family who introduced me to their delicious cuisine and the birthday party of a local man, which involved huge pans of paella and steamed mussels and lots of dancing. The low cost of living and the high-quality Spanish lifestyle means I can now fill my days doing what I want. Here in Altea, my dream of a simple, fulfilling life has been realized.